We're back at work in our online shop, bringing you more options to shop for from the comfort of your couch. This week, we added identical twins - they're called Merino Supreme! Both Diamond Yarns and Carlton distribute this yarn, but each has their own set of colorways. The yarn is exactly the same, so if one doesn't have the color you want, try the other! We love that it's a great value yarn, super soft, and SUPERWASH! It's DK, 100% Superwash Extrafine Merino, and has 137 yards in each ball. Combined, we have 20 colors to choose from for this yarn - amazing, right? Here are a few patterns we love that, we think, would work well with Merino Supreme. Gorse Shawl, photo by Rhiannon McCoulloch, pattern by Miss Vinegar. 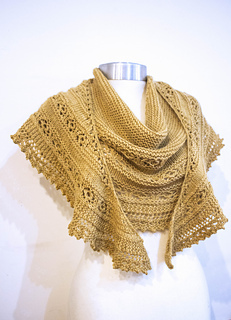 A beautiful fluttery shawl that will keep your interest while knitting those rows. Helena, photo and pattern by Allison Green. 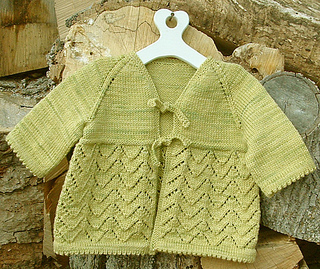 Such a sweet baby cardigan, good for any gender with only a few balls of yarn. Taiga Shawl, photo my Mijo Crochet, pattern by Johanna Lindahl. I love the lacy edges and tassels on this (which I'm sure are optional if they're not your thing). 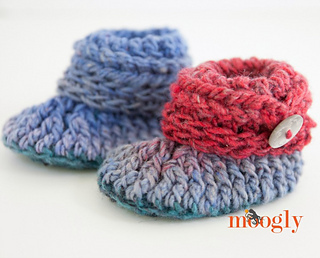 Ups and Downs Baby Booties, photos by Moogly, pattern by Tamara Kelly. A great one-skein wonder. Come into the shop and pet some Merino Supreme by Carlton or Diamon Yarns today, or just trust me and add this to your cart now :) While you're online (I know you are), come visit us in our Ravelry group -- the Raging Wool Ravelers. We’re currently working on a KAL Casual T-shirt with no deadline to finish. And as always, you can follow us on Facebook and Instagram, too.